hypothesize about mysterious objects in NASA HST images. systematically search NASA images of the Orion nebula for proplyds. study star charts to find night-sky locations of other planetary systems. Activity 1: Form hypothesis about and predict what you are seeing when viewing the movie of the Orion star-forming region. Activity 2: Observe Orion star-forming regions and identify proplyds (protoplanetary disks). Activity 3: Discover extra-solar planetary systems in a region called the ECO-ZONE. 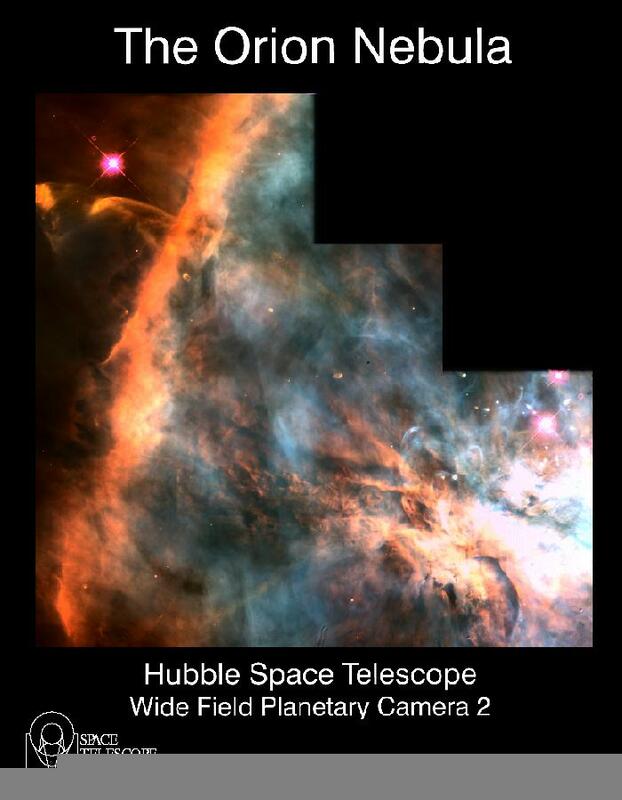 Instruct students to carefully view the Hubble Space Telescope Movie of the Orion star-forming region. The movie begins with a wide-angle, low resolution view of the region below Orion's belt and goes to higher and higher resolution (official caption). Without telling students what the movie is supposed to show, gather their "guesses" about what they are seeing and write them on the board. After students have brainstormed possibilities, have students suggest ways to narrow the list of possibilities. 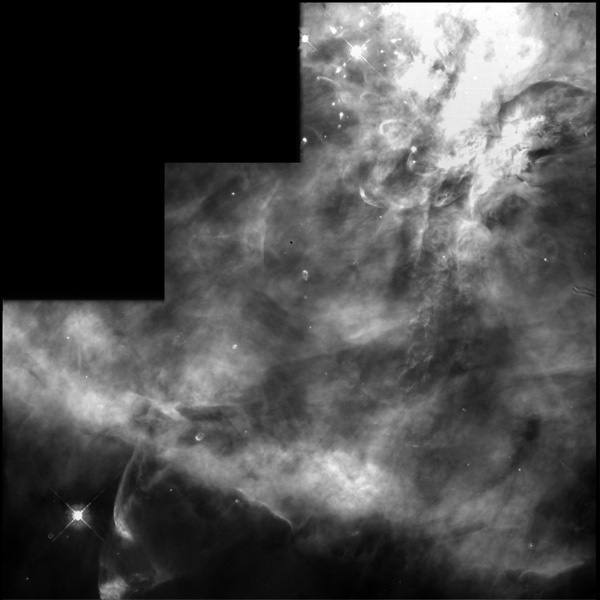 The Hubble Space Telescope has captured high resolution images of the Orion star forming region (large image). Instruct students to carefully look and see if they can find areas that might be dust disks around stars where planets might just be beginning to form. How many proplyds can they find in this image? Give students this clue: stars appear round in these pictures whereas protoplanetary disks, or proplyds (PRO-p-lid-s), often appear to be elliptical. Another help for students is to use image processing software (like NIH Image or ImagePC) to magnify and change color tables in this pict or tif image to get a better look. Searching for Extra-Solar Planets The only evidence of extra-solar planetary systems directly observed was seen in the Orion star forming region. By looking for stellar wobbles, astronomers can indirectly discover planets. Astronomers do know of a number of other planetary systems around other stars (current list). Some of these planets are in a region called the ECO-ZONE; the eco-zone is a range of distances from a star where water, necessary for life as we know it, is available. In the eco-zone, wather is neither too hot nor too cold (on Venus water would boil away, and on Mars freeze because of the distances of these planets to our Sun). The chart below shows newly discovered planets that seem to exist in the eco-zone (big chart). Using the Public Broadcasting System (PBS) WWW site on "hunting for alien worlds," see if you can find the locations of these extra-solar planetary systems in tonight's sky. The sun, the earth, and the rest of the solar system formed from a nebular cloud of dust and gas 4.6 billion years ago. The early earth was very different from the planet we live on today.